You�ve got the best life coach imaginable talking to you in your sleep. �Dream work is a very personal process. There is no Rosetta Stone for interpreting dreams, no universal meaning for every dream symbol,� says reddit.com dreams forum moderator DeBord. But don�t let that scare you. With a few simple tools, you will soon be on your way to discovering just how much specific, guiding wisdom is packed into your dreams. This groundbreaking book takes you step-by-step through the process of learning the language of your dreams. It is a language like any other. It has nouns (characters and settings), verbs (actions and your reactions), and adjectives (symbols and feelings). At first you may only catch the simple words and phrases, then whole sentences and paragraphs, but soon enough you will get all the subtext, humor, irony, and slang. You will not only understand the language but speak it fluently. You�ll see that we dream to help reconcile with the past, handle the present, and step into the future. Three steps: remember, interpret, and live your dreams. It�s easier than you think. 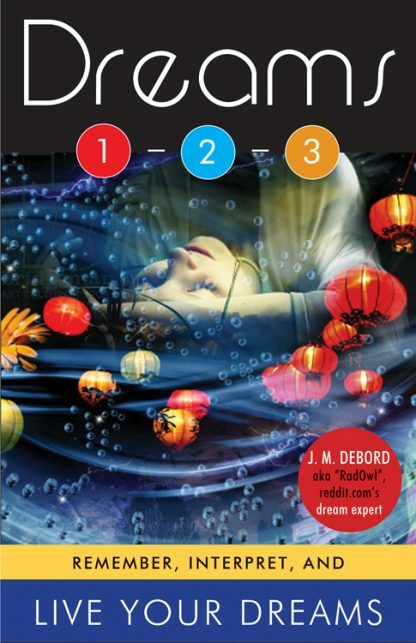 J. M. DeBordbegan studying and interpreting dreams two decades ago, and now one of his personal dreams comes true with the publication of Dreams 1-2-3: Remember, Interpret, and Live Your Dreams, a groundbreaking book that makes dreams understandable for everyone and shows how they can be used for your benefit.